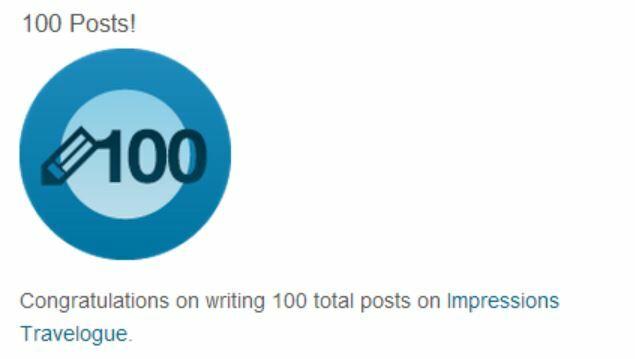 I’ve Submitted 100 Posts to my Impressions Travelogue! This entry was posted in Websites, Tips, Musings, and Quotes and tagged blogging, milestone, milestones, travel blogging, wordpress. Bookmark the permalink.